Dr. Voils, social psychologist, uses qualitative and quantitative methodologies to study and improve treatment adherence. One area of Dr. Voils’ research interest is in developing and evaluating behavioral interventions for primary and secondary prevention of cardiovascular disease. She led a randomized controlled trial (RCT) to evaluate a telephone-delivered, spouse-assisted intervention to improve patient cholesterol levels (CouPLES). She recently completed an RCT to evaluate a weight loss maintenance intervention following behavioral weight loss (MAINTAIN). She has a new pilot from the VA to evaluate the feasibility of adapting the intervention to promote weight loss maintenance among patients following bariatric surgery. With R34 funding from the NHLBI, she is evaluating the feasibility of providing financial incentives for dietary self-monitoring and weight loss. A second area of interest is genomics health services research. Dr. Voils led an RCT to evaluate the clinical utility of genetic testing for type 2 diabetes. 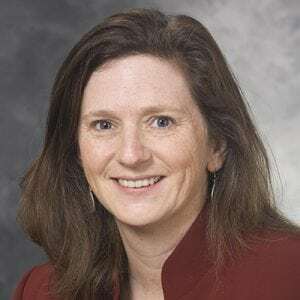 She is currently PI of an RCT to evaluate effectiveness and implementation of an information technology innovation that collects patient-entered family history and provides decision support to patients and providers. Dr. Voils also has a strong interest in research methodology. She has developed and validated a self-report measure of medication nonadherence and developed methods for synthesizing qualitative and quantitative research findings. The role of psychological science in efforts to improve cardiovascular medication adherence.